most of my knitting has been for others — giving as gifts, or for those that have purchased. I have a few select items that I have made for myself that I adore. 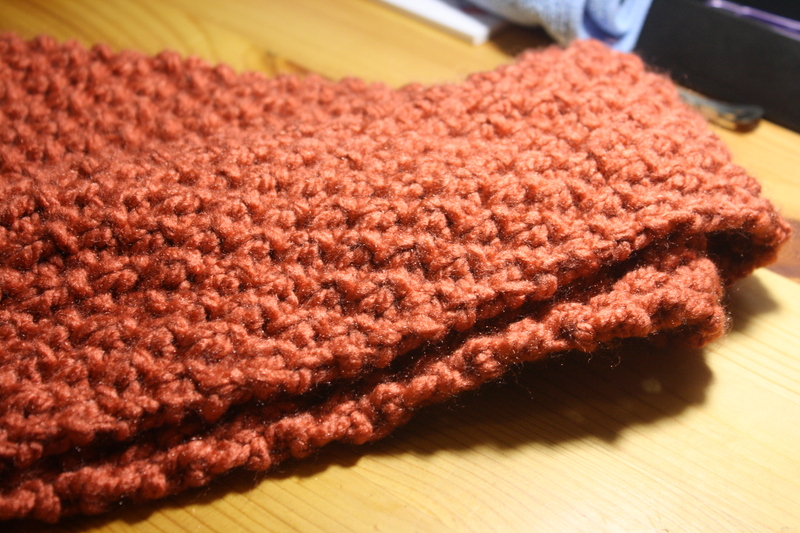 Tonight I just added to that collection — I made myself a scarf. It’s orange, it’s super soft — it’s delicious. And just in time, weather’s supposed to get chilly in the next few days. Flip Flops have been packed away in the closet until next spring. Next to go is the tank tops and shorts. Bring on the fall!